Healthcare products producer, Blackmores, has joined the growing list of brands investing in chatbots and launched a new artificial intelligence-based bot aimed at helping consumers stick to their 2017 New Year’s resolutions. The Well Bot debuted as part of the brand’s 2017 Australian Open sponsorship and campaign, and allows users to access a personalised digital ‘wellbeing’ coach via Facebook Messenger or SMS to provide tips and action plans based around their lifestyle. Consumers using the AI bot also gain access to discount codes and offers across the Blackmores product range. The personalised tips and advice are based around users completing a series of questions first. The bespoke bot was designed by digital agency, Bastion EBA, is context aware, and based around consumers engaging via natural language. The bot initially launches as part of the Blackmores Wellbeing Oasis onsite at the Australian Open in Melbourne, and accessible through eight kiosks. 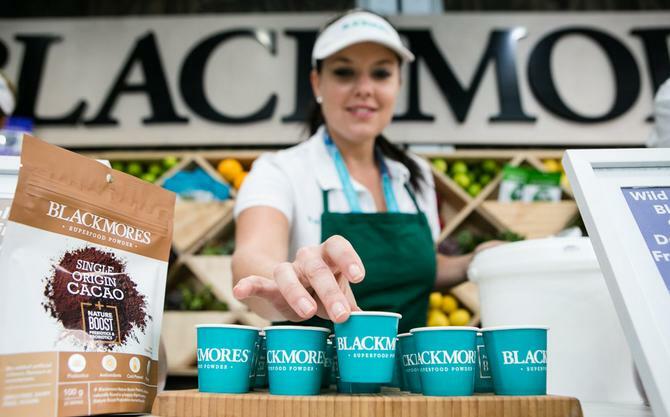 Those who engage with the bot onsite will then be given a Blackmores Superfood sample suited to their needs. Chat bots powered by machine learning and AI are quickly becoming part of the marketing and customer engagement arsenal of brands worldwide.Bots are also quickly becoming the foundation for the rise of conversational commerce. These messaging bots are automated programs designed to interpret and deliver messages in a similar way to human-based interaction. The rapid popularity of bots got a big boost in 2016 after Facebook announced it was investing in integrating chat bots into Facebook Messenger. Other examples of intelligence bots are Apple’s Siri and Microsoft’s Cortana. Read more about how chatbots could change your marketing strategy here.